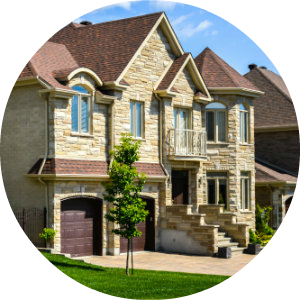 Our web site is designed to assist your search for Brantford, Ontario real estate MLS Listings fast and effortlessly. 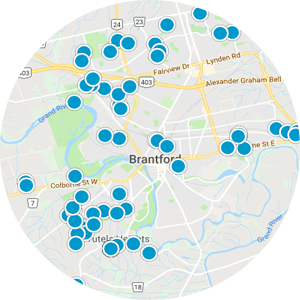 Start by searching through all of the Brantford and Area MLS listings using the area buttons located on the right side and bottom of the page. By inputting your desired area, price range and search criteria, you are able to narrow down your search to only those properties that fit your wish list and budget. After viewing a few properties for sale, the web site will prompt you to create a personal account and automatically allow you to save searches and receive New Listings daily. The web site is set up as your one-stop location for all of your real estate information needs. Brantford, situated on the picturesque Grand River, is centrally located to Hamilton, Toronto, Kitchener Waterloo and Buffalo. This vibrant city is conveniently located along a major highway (403) and provides easy access to major centers and four international airports are within a short two-hour drive. 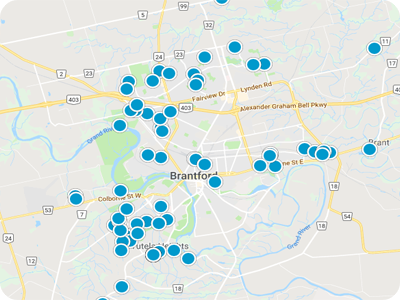 Brantford attracts a variety of real estate buyers and is a smaller City with a “home town” feel that is a perfect place to raise a family or purchase an investment property. Our main focus is on the areas of Brantford, Burford, Mt. Pleasant, Paris, Scotland/Oakland and St. George, however, we are familiar with many of the surrounding Townships. Our links to these communities are conveniently located on the right sidebar as well as in the bottom footer, for easy searches to a particular community. Real Estate Buyers will find a wealth of information on our site. From mortgage pre-approval, contracts and negotiating to home inspection and closing costs. Whether you are a First Time Home Buyer or a seasoned investor, we are committed to ensuring each person is treated as a cherished client and individual, with an ear to listen and we will provide professional advice throughout your Real Estate Buying experience. Our state of the art technology allows clients to receive up to date MLS Listings the second they become available on the market. Selling your home can be a very emotional and trying time, but we are here to help with our team of professionals that will assist you from staging your property, advise on any updates that could increase your property's value, secure professional photography to ensure your home is seen as a top contender in your area. A comprehensive analysis and marketing plan will be fully discussed with you prior to listing your property for sale. 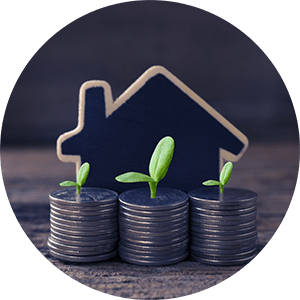 Our goal is to sell your property for the most amount of money, in the least amount of time, with as little disruption to your day to day life as possible. At Property For Sale in Brantford, we are committed to the utmost in service, integrity, and professionalism. Our team is educated in the latest technology and marketing to ensure you are getting top-notch representation whether you are Buying, or Selling Real Estate. You are not just a client, but a cherished friend.